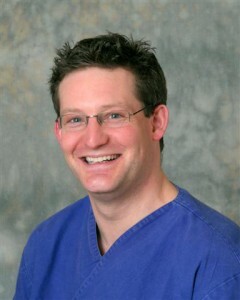 Jim Lafferty is one of the team of dentists working at Orgreave Dental Surgery in Sheffield. Jim was born and bred in Sheffield, joined Orgreave Dental Surgery in January 1997 as an associate, and bought the practice with Nichoela in 2001. Jim now works here on Fridays only, having taken on the role of International Dentolegal Consultant with Dental Protection in their Leeds office. He graduated in 1993 from the University of Birmingham with a B.D.S. and received his MJDF from the Royal College of Surgeons in England in 2013. He is registered with the General Dental Council (Registration No 68763) and is indemnified by Dental Protection Limited (membership no 204645). He is male and a UK graduate. Jim has greatly exceeded the General Dental Council’s requirements for Continuing Professional Development (CPD) in each 5 year cycle, taking a particular interest in bleaching, aesthetic and cosmetic dentistry and has completed an 18 month course in implants at Sheffield’s Charles Clifford Dental Hospital. He is a member of the Association of Dental Implantology UK (ADI), the British Dental Association (BDA), the British Society of Periodontology and the Faculty of General Dental Practitioners. Jim is now Vice-Chairman of Sheffield Local Dental Committee having been Chairman for 11 ywrs until March 2015. He is also Chairman of the British Dental Association’s English Council and UK Council. He has extensive experience in dental politics, and was twice elected by the dentists in England to the General Dental Council, the industry regulator. 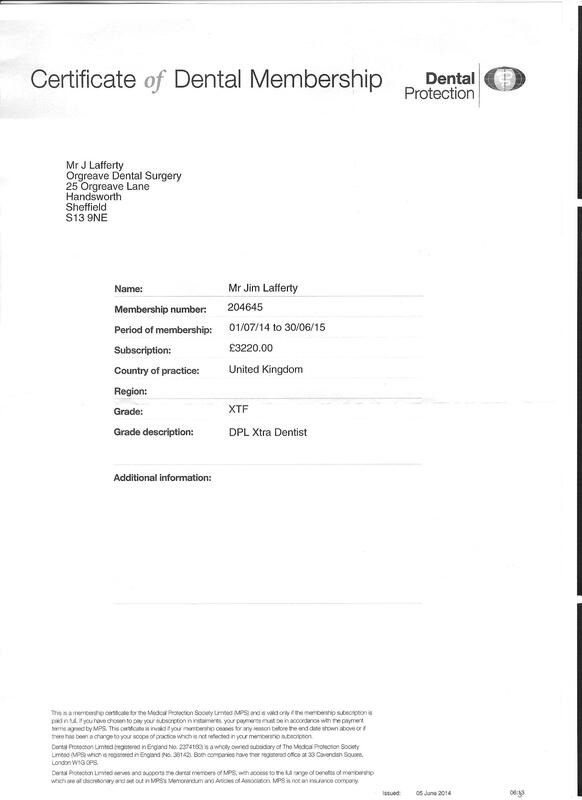 Jim’s close interest in aesthetic and cosmetic dentistry has seen him become a full member of the British Academy of Cosmetic Dentistry in February 2014. In his spare time, Jim likes to try and keep fit, running, swimming, cycling, windsurfing and the occasional triathlon. Jim played water polo at National League level for over 20 years, representing England ‘A’ in 2001, and playing twice in the European Cup Winners Cup. He reads voraciously and has partially moved into the modern era, using a Kindle for some books. He did his first marathon – the Detroit Marathon in October 2013, just scraping under 4 hours. He has done 3 long distance triathlons, IromMan Vichy in 2016, and the Outlaw in 2016 and 2017. He is married to Nichoela and they have two boys. Jim adheres to the General Dental Council’s Standards for the Dental Team. To view Jim’s GDC registration certificate please click here. To view Jim’s indemnity certificate please click here.